We clean your tank, not your wallet. Avoid costly septic repair from premature system failure. 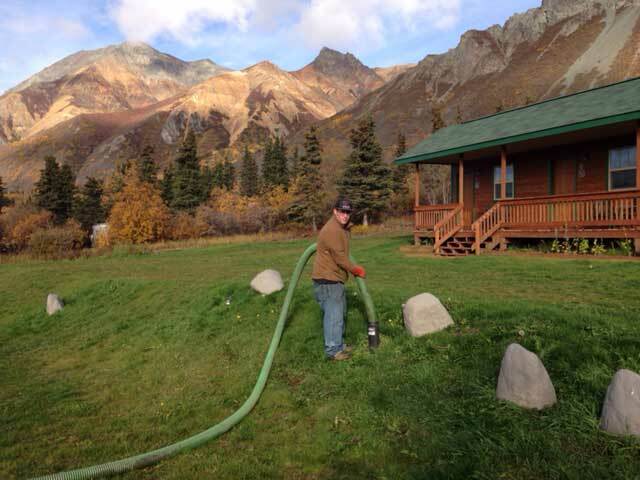 Septic systems are common in Alaska. Your septic tank is essential to your home, and having your septic tank pumped regularly is an important part of your septic system maintenance. It keeps your home, your family, and the environment healthy. A lack of regular maintenance in a septic system threatens the well-being of its surroundings. 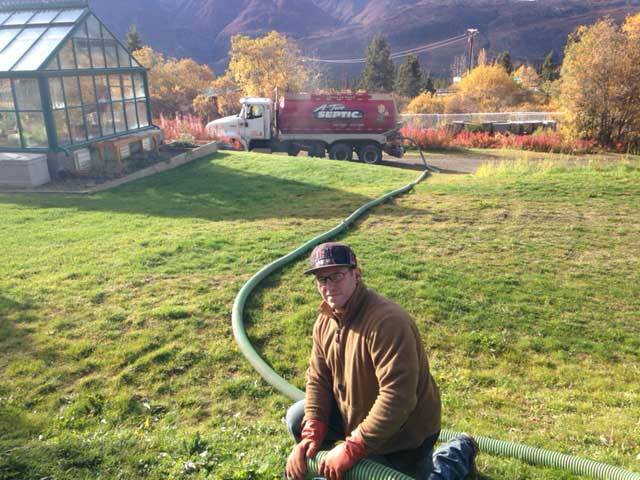 Scheduling regular septic pumping will go a long way towards ensuring a safe, healthy environment. 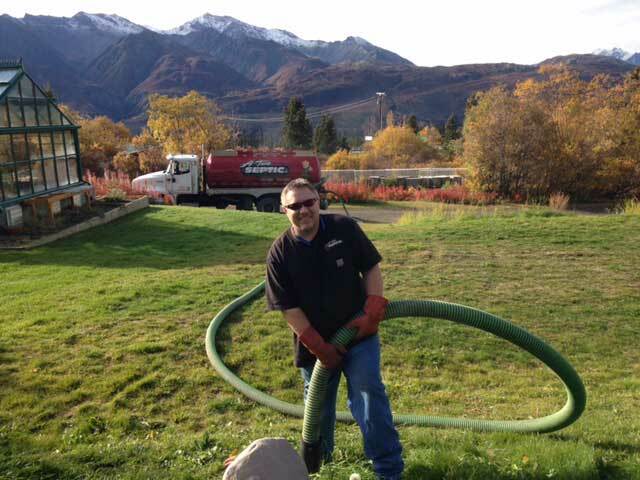 If it's been awhile since your septic system was pumped, make an appointment today for septic pumping in Wasilla or Palmer. Call us at the numbers listed above, or fill out our handy Schedule Service form. Okay, so why should I service my septic system? What can I do to prevent the need for septic repair or replacement? Only flush waste and toilet paper down your toilet, and service regularly. 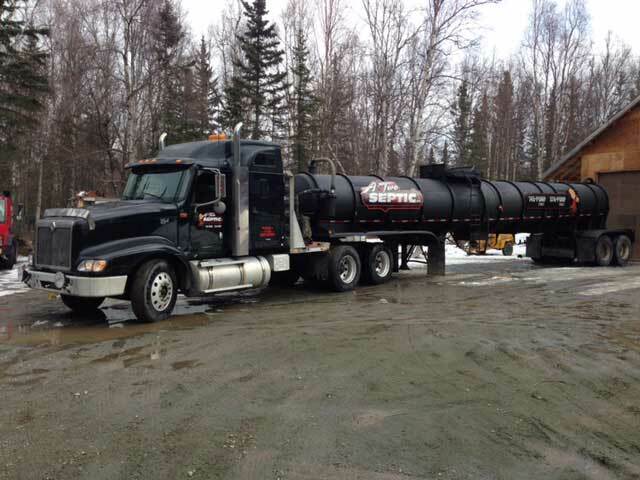 Other items do not break down in your septic tank and can cause severe problems. Garbage disposals can double the amount of solids added to a septic tank, but the best disposals will grind waste into smaller bits that break down more quickly when they reach the septic system. Be cautious of what you dispose! Bacteria must be present in your septic tank to break down and digest solids. Anti-bacterial soaps, detergents and cleaning fluids like bleach do a great job killing bacteria in your home, but they also destroy the beneficial bacteria your septic system needs in order to function properly. Use them in moderation! 20+ years of good service! Thank you for your service. We will always use your company as in the past, before you bought it. We have never had bad service or a difficult time. Have and will continue to tell others! We love using and referring you guys! Bill arrived ahead of time, was courteous, and very professional – Good Job! Appreciate pre-work info from owners; a better understanding of process. Tech was most helpful in explaining the work done. You folks are always prompt and polite! I asked about a condition, and he explained in terms I understood! Wonderful young man & a veteran too! I will be back. Thank you! We have used A-Two for years. With the new owners, the excellent service continues. The technician was neat, courteous, and on time. Your young man was charming! Thank you so much! God Bless all. We could not have been more pleased – I won’t wait so long next time. Friendly, Reliable Service for the Mat-Su Valley. © A-Two Septic all rights reserved. All other trademarks used within site are the property of their respective owners.